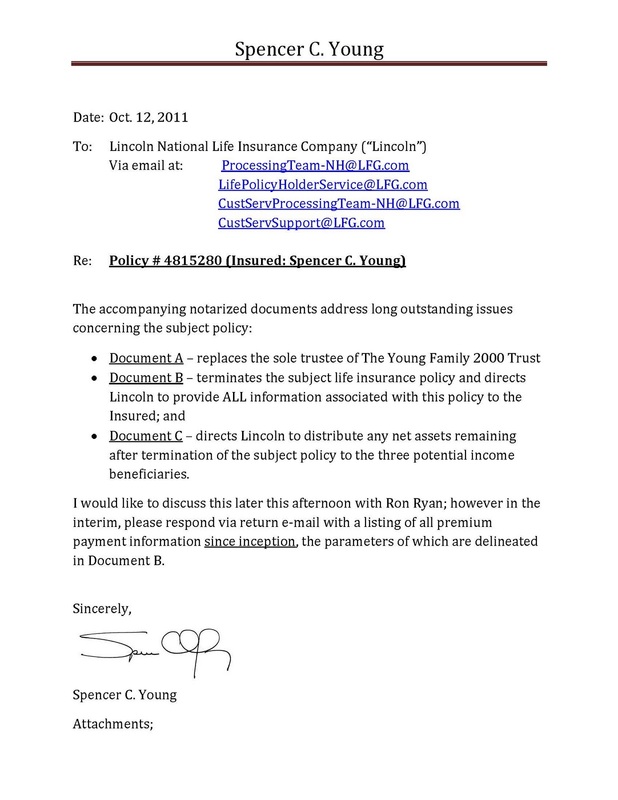 Lincoln National Life has been withholding information for more than two years concerning who had been making life insurance premium payments on a $1.5 million policy insuring Spencer C. Young's life, which should have lapsed in 2005. As noted below and in the attached, Lincoln MUST now release this information IMMEDIATELY, yet they continued to be non-responsive throughout the day yesterday. 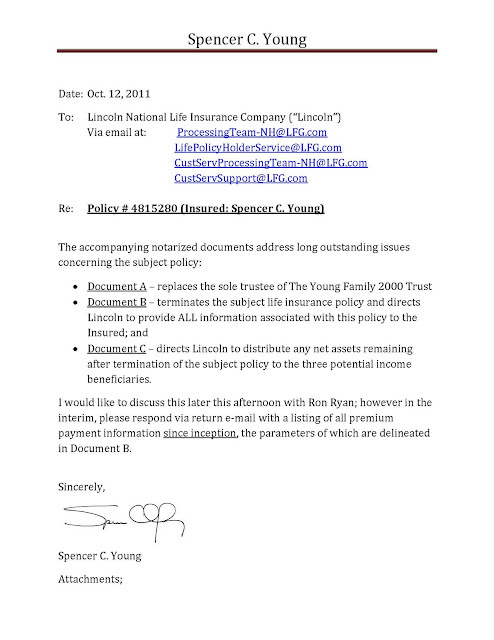 Those implicated in this desperate and now OBVIOUS cover-up are Lincoln employees Ron Ryan and Howard Polk, with others likely to be named. Labels: Assassination, Corruption, Cover-Up, Lincoln Life Ins. Co.